How many times have I mentioned that I will be making my first wedding cake this year? Fifty? Yes, I am obviously excited. Cautiously excited. I've never made a cake of such great importance, so I'm carefully planning every step. At the bride's request, half the cake layers will be white with lemon curd filling, and the other half will be chocolate cake with raspberry filling. I can easily locate a good chocolate cake recipe, but I've been test-driving white cake recipes for almost two months now. Last week I finally found a moist, scratch-made white cake recipe that I'm really excited about. From pristine white interior to delicate flavor and crumb, I am pleased with every aspect. The official wedding cake will be covered in rolled fondant, but I plan to use Swiss meringue buttercream as a crumb coat - and that's what I used to decorate this test cake. Since I've been getting a few emails from frustrated Swiss buttercream first-timers, I decided to put together a video tutorial. Hopefully this can be used with the recipe for successful results! 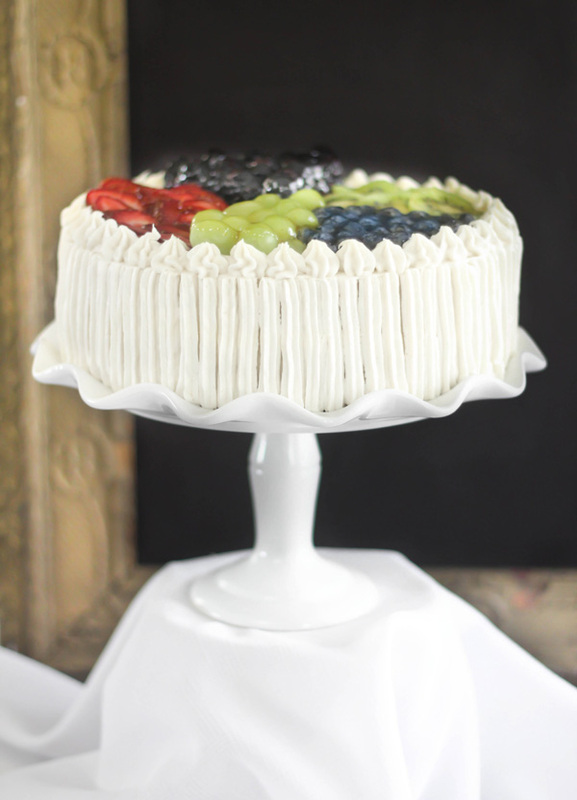 In this post you'll find three recipes for this white cake in different volumes. A 6-inch test cake, a 9-inch cake and another large quantity batter for big 14-inch tiers. I really like this cake's crumb as-is, but I found the accompanying simple syrup recipe added great flavor and moisture. I do not consider the syrup optional! Be sure to use it - especially if you freeze the cakes for future use, or if you will be decorating it over the course of a few days. This tends to dry out an otherwise moist cake. The recipe and decor idea for the test cake is adapted from the book "Wedding Cakes You Can Make" by Dede Wilson. 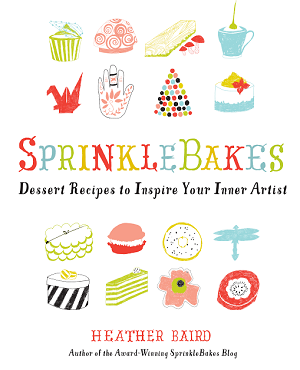 You won't find any crazy-elaborate decorating or rolled fondant-covered cakes in this book, but you will find approachable cake recipes, a timeline to follow, and a cake cutting guide. All of this is very helpful information. I highly recommend this book! The recipe portion of this post will be lengthy, but don't let that overwhelm you. The cake, lemon curd and icing recipes can all be printed separately. The directions to make the cake as pictured is at the link below. I've included a few instructional pics below, too. Preheat oven to 350 degrees. Grease pans and line with parchment. I suggest using Wilton's Cake Release to grease the pans. You don't have to use parchment with this product, and there are far less crumbs on the outside of the cake when it is turned out. Sift together flour, baking powder, and salt; set aside. Whisk together egg whites and milk in a separate bowl; set aside. Beat butter using the paddle attachment until soft and creamy. Add sugar gradually and beat until light and fluffy. Scrape down the bowl as needed. Beat in vanilla. Divide batter between pans. Bake 6-inch cake at 350 for 25 minutes; bake 9-inch cakes at 350 for about 35 minutes; reduce oven temperature to 325 degrees for 14-inch cakes, bake for about 45 minutes. Let cool slightly in pan, then turn out and cool completely. 1. Place sugar and water in a saucepan. Bring to a boil and cook until sugar has dissolved. 2. Remove from heat and let cool. Stir in vanilla and set aside. 3. Use a new soft-bristled pastry brush to apply syrup to cakes. Use your discretion for applying syrup to cakes. Below are my quantity suggestions, but feel free to add more or less according to your taste and desire for moistness. with a little left over. Beat butter and sugar in a large bowl using an electric mixer. Slowly add the eggs and yolks one at a time, mixing well after each addition. Pour in lemon juice and mix again. Expect the mixture to look curdled, this is normal. Cook the mixture over medium heat in a medium-size saucepan until it looks smooth (no longer curdled.) Increase the heat slightly and cook, whisking constantly, until the mixture thickens. Clip a thermometer to the side of the pan and cook until the mixture reaches 170 degrees. Remove the curd from the heat. Transfer the curd to a bowl and press plastic wrap on the surface of the lemon curd to keep a skin from forming. Chill the curd in the refrigerator. The curd will thicken further as it cools. Covered tightly, it will keep in the refrigerator for a week and in the freezer for 2 months. A splendid cake! So beautifully decorated. Great job. OMG. I'm so gonna make this cake soon!!! Gorgeous cake, Heather! I think I'll have to try this- I'm a sucker for anything lemon. I do have a question about the buttercream: the small batch has 3t vanilla, while the double batch says 1T...should it be 2T if the amounts are being doubled? Me encanta que esté coronada con la fruta, es preciosa. Beautiful! I love the fruit topping, and I'm such a lemon curd addict! :) I bet this cake was so delicious! Wonderful video and worderful recipe. I adore the song you used for the video, it sets the perfect mood for making such a lovely cake. I love white cake- especially homemade. But I am scared out of my pants to try to make one at home! What a gorgeous cake! I can't wait to hear what the bride thinks. 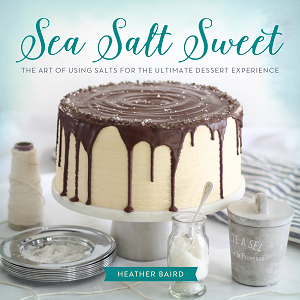 I'm a huge fan of SMB and everything else about that cake sounds delicious, too! Absolutely without a doubt the most beautiful cake ever! Just beautiful 'Sprinkles'. We are so excited about our niece's wedding in July. I will be itching to barge in with my camera but will stay back and remain 'reserved'. Your cake for the bride will be one of the most special memories in years to come. Can't wait to hear about it. you make it look easy, I can see how just slowing down a wee bit would help with the look of my cakes! Lovely job. Oh my gosh - I have that book too!! I find it amazingly helpful - I made my first wedding cake last summer and I don't know what I would have done without it!! That is beautiful. I'd live a piece of that with my afternoon coffee. YUM! Does this frosting need to be refrigerated? I have a hard time choosing frostings for wedding cakes because often they need to be assembled at least 3-4 hours before guests actually eat it. I've used a version of the salted caramel recipe on a wedding cake before and no one died. I guess it would be OK? I just get nervous about eggs. Interested in your thoughts. Thanks!!! It's absolutely gorgeous! It's like food art..I can't even make my icing perfectly smooth on a sheet cake. I can't even imagine doing this. AMAZING! With all that butter and all those eggs, I bet this cake is fantastic! I have been looking for a scratch white cake... thanks so much for posting. This is beautiful. Looking forward to finding out what the bride to be thought at her taste testing. LOVE this post. I had some problems with the last swiss meringue buttercream I tried to make so I really enjoyed your video. I tried to Pin it, but apparently Pinterest only supports YouTube videos. :( Boo! Your cake looks beautiful, approachable and delicious! And you can't go wrong with homemade lemon curd, d-lish. Wow...Kudos to you! It looks beautiful. This looks amazing! And your video was awesome! So is Bisquit! Sweet! Love the Fresh Fruit Look! That cake looks amazing!!! 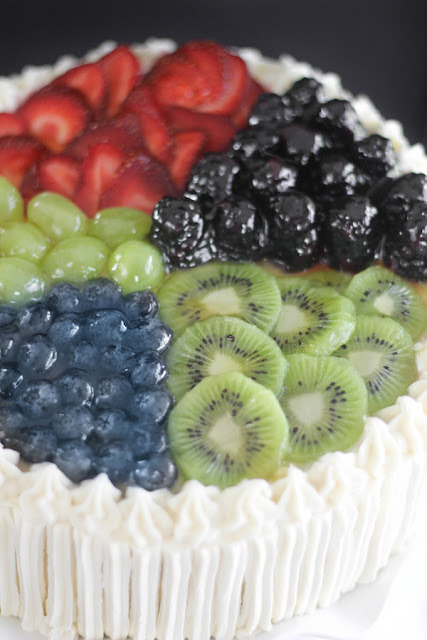 I love the different fruits on top. Your video tutorial is fantastic too! I've not attempted swiss meringue buttercream yet, so it was great to see your detailed instructions. PS I love the music! Very pretty and looks very yummy! 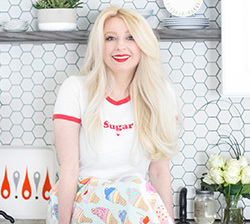 I've been trying out white cake recipes too and I'll be interested in trying this one. Test cake or not...this already looks gorgeous! Love the pristine white and then the fruit toppings, so pretty! I was very honored to have been asked to make my first wedding cake, but I was also very worried about it. All that worry for nothing though because it turned out great. And bonus - I got requests for 2 more wedding cakes that very day. Anyway, you'll be fine, I'm sure. It is a daunting task, but it's a very rewarding one as well. PS - I love Dede's recipes! What a stunning cake! I'd be happy to have this at my wedding :-) Love that it's a bit different too...the fruit on top is beautiful. That cake looks delicious ! Lucky bride. Me gusta esta tarta, pero me parece muy simpático el perro. 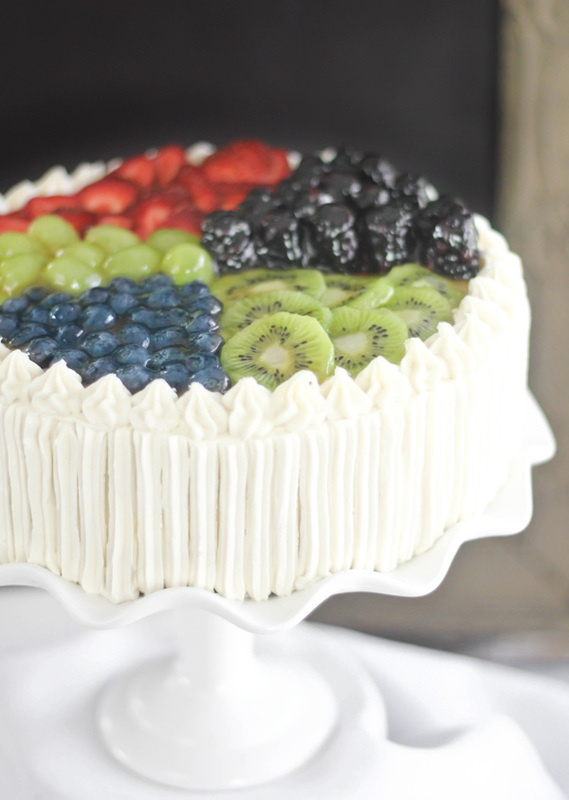 What did you use to glaze the fruit on top of the cake? Oh my gosh... the video! The MUSIC!! Why aren't we best friends?! i'm sorry i've been late in viewing your latest creations. you know i see these cakes (not as good as yours) at whole foods and the best part is that glaze. the shiny! I'm drawn to shiny things! LOL! And all I can say is, when you come visit me on old cape cod, you and I will listen to Summer Wind by Sinatra while drinking cape codders. Love the music! Perfect meringue! I am a white cake freak so this post made my day. I would WEAR this to a wedding. STUNNING Beauty! Love the flavor profiles too. The cake looks stunning, well done. I have to try this recipe. It really does look good and the fruit layer looks scrumptious! Congrats on the upcoming book release, I'm a new subscriber so just seen it and had to comment. When I make this cake, I'll definitely link back to your blog from mine. I have recipes as long as my arm to now now, yay! I'm a buttercream virgin, and this cake looks fantastic!! I really want to try it. Thanks for the video, I think it will give me some confidence for my first venture into buttercream. The video is great, but how come we only ever see Biscuit? Poor Churro must be getting a complex. Biscuit sticks right beside me when I'm working on a baking project, so it is convenient to film him watching me work. Churro likes to sleep a lot during the day. this is beautiful and i love your swiss meringue tutorial! Such a beautiful cake, why wait to get married. I'd like to make it today. Great video. Vimeo seems like a nicer video than youtube, what do you think? I like how you can insert words as you're taping, I'm not sure you can do that with YouTube. The cake was beautiful, did it taste as good too? I'll be sure to check out the cookbook. Thanks for sharing. Thank you for this recipe!! I used it to make cupcakes and the texture is absolutely amazing. Love your work! I just put the test cake in the oven. Do I put the simple syrup on before I freeze or after? TY . Love this tutorial can't wait to eat my test cake. After. If you're freezing the cake for later use, freeze without the syrup. The syrup should be added after the cake has thawed. ohh ok great thank you for your quick response! Can you make this into cupcakes??? Actually, just to revise my previous comment - I did make this into cupcakes and while it tasted absolutely amazing the same day, by the next day it was deemed not-so-good unfortunately. I'm not sure if it was the way I made them or if the recipe just isn't meant for cupcakes, but I probably won't be using this recipe for cupcakes again. I will definitely keep it on hand should I need an actual wedding cake recipe! FINALLY!!! A blogger who does step by step and video tutorial. This is fantastic. Thank you for sharing. This cake is the most delicious, moist white cake I've ever eaten. Not only is the flavor wonderful, the texture is incredible and is beautiful to look at with it's fine crumb. 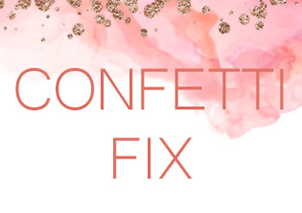 I just found your blog and am LOVING it. I've been making the same white cake forever, but decided to try this one. I will never go back to the old recipe! 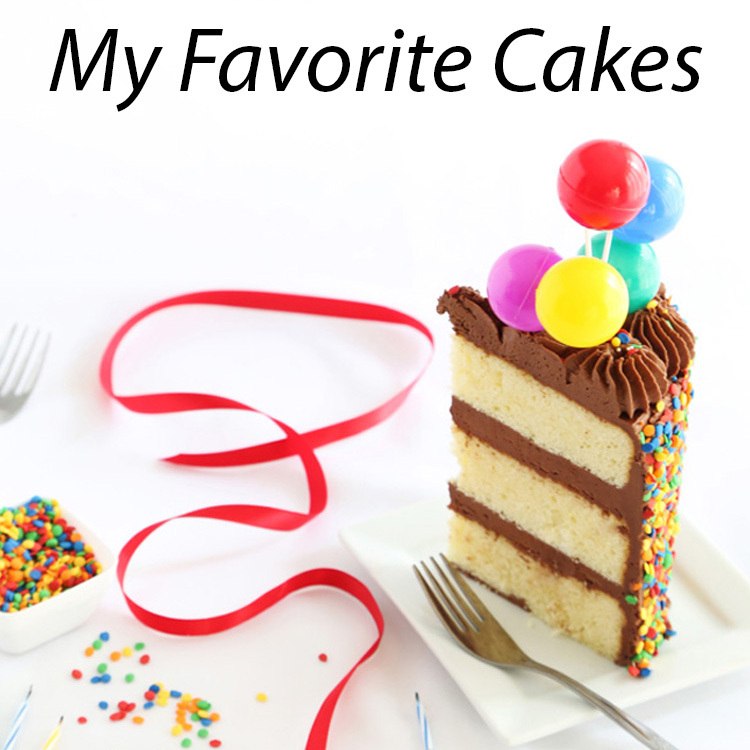 This is the most delicious cake--holds up well to decorating, makes perfect cupcakes and has the best reviews. You make me look good. Thank you!! 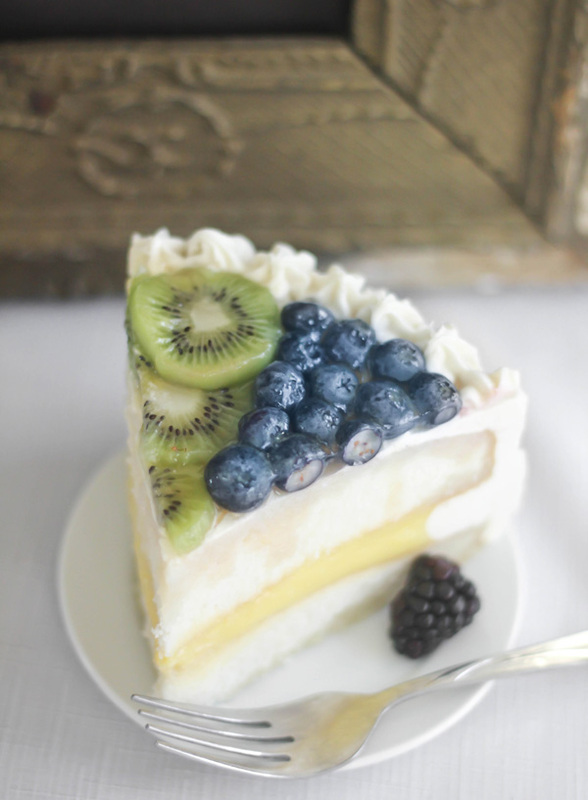 Yes, this has to be the best white cake I have EVER had! There is little to no crumbs to deal with and it is REALLY white! It tastes like a dream and I will probably never make another white cake mix ever again unless it is this one! I have been using it for my cake pops and they just turn out divine! I have put my own little spin on the recipe this time around to try and work it into something of my own. Thank you for a tremendously great start! I am making my first wedding cake soon and I have been advised to not use simple syrup as it will negatively affect the cake structure as well as leak into the fondant. is this not the case?? Looking delicious.I wanna eat it. I made this as a 6" for my wedding, but I used my almond extract instead of vanilla and it was absolutely amazing. So in case you haven't tried that yet, I definitely recommend it! I loved the bits I cut off to flatten it, without icing even, because I am crazy! Have you tried using egg whites from a carton for either the cake and/or buttercream? I hate the thought of all those wasted yolks...or do you make an enormous batch of lemon curd?! just got your book and can honestly say i LOVE it!!! i want to make this for a women's tea in a couple weeks. however, I'm not sure if I read your instructions correctly. Regarding the syrup, do I add the syrup once the cake is baked. And THEN place the fruits on top? The simple syrup is brushed on the cake after it's baked, then you can fill and frost it. After that, the fruits can be arranged on top, and then the melted jam painted on. Does the recipe for the 6 inch test cake use two pans or just one? Thanks! Your cake looks delish! I am making my best friends wedding cake next month (400 servings, yikes) so I am doing my research now and stumbled upon your page. The cake I am doing is similar to yours, she wants vanilla pastry cream with strawberries as filling and fondant covering. Do you know if the cake is okay to sit at room temp with the pastry cream filling 4+ hours? I am sure there will be a/c at the hall but just concerned...thanks in advance! It should be fine in an air conditioned space for that amount of time. You definitely want the cake at room temperature when you serve it, so that should work out well. Hi! I was wondering what you put on top of the fruit on top? It looks like you spread something on the fruit with a pastry brush? Lovely! How far in advance can this cake be assembled and left a room temperature? If the cake is not filled with the curd, can the cake be iced and left at room temperature for longer period of time? I'd say the cake can be left at room temperature for about six hours. That's about how long it was standing on the reception table before it was all devoured. I tried to make it this morning. i've been looking for a white cake to make a 2 tier graduation cake. i found your cake was fine texture which i like and you use cake flour. look sturdy enough to hold a fondant. i was a bit hesitant because it was my first time to make a white cake from scratch. i was surprised it was taste very good. i put it in the fridge to get ready to frost it and cover it with quilted fondant. i'll let you know how it turn out with fondant. thanks for sharing your recipe. It's me again. i finally covered the cake with fondant and cut it. it is a huge success. family and friends loved it. the textured was good and same texture as yours. hold the homemade fondant very well. i making this again next week for 2 tiered graduation cake. Thanks again. keep posting your good recipe. Hi :D I baked a layer cake a few days ago and frosted it with Swiss Meringue Buttercream. I used 5 egg whites and only 216 gr of butter (almost 2 sticks) which had a high fat content. I has 1 pound of it on hand because I tought I will need all of it. The cream came out perfect and I frosted the cake perfectly with it. But still, I wonder why I used only this small amount of butter...maybe because it was very high in fat. If I added 1 whole pound it would have been too stiff to easily frost the cake. This could make an amazing wedding cake! Ever since I read http://weddings.gatheringguide.com/ac/diy-wedding-tips/making-your-own-wedding-cake-whats-really-involved I've been a little hesitant to make my own cake, but this seems like maybe I could do it! Practicing this weekend on a smaller version to see :) Thanks so much for posting! First time for me to know that SMB can be used as filling because I always heard (and read) that it should be made and served straight away as it tends to separate after a while. I tried SMB recipe once and it did get separated after few hours. I should try this one and let you know. Always good to know.. thank you for yet another wonderful recipe.